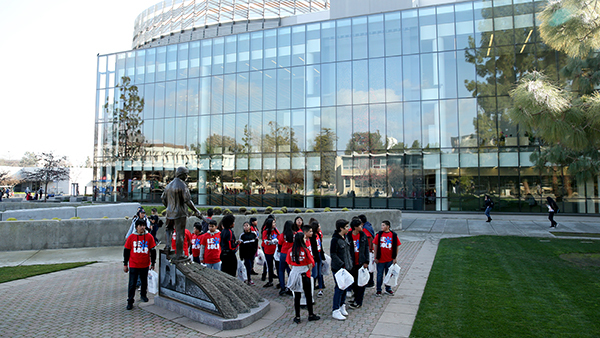 They were treated to a campus tour thanks to Outreach and Special Programs with stops in the Henry Madden Library and the University Student Union before making their way across campus to the Save Mart Center. 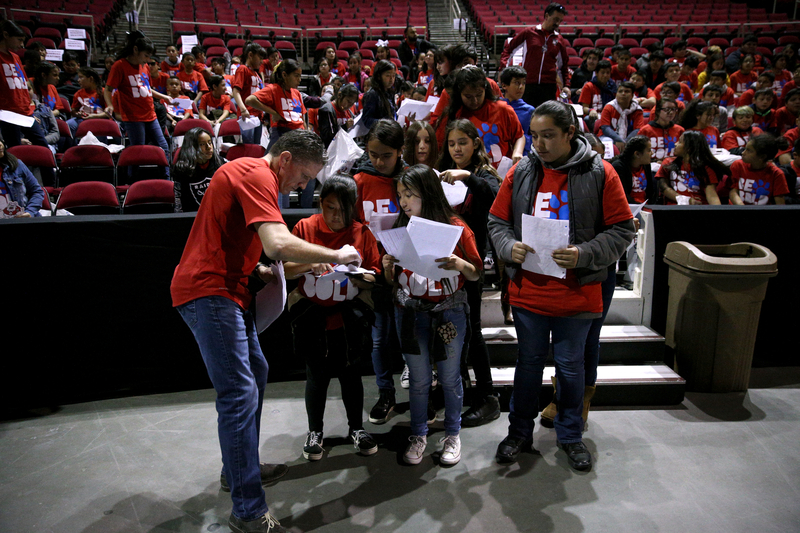 There, the students had a meet-and-greet with wrestling athletes (whom they have written fan letters to) and coach Troy Steiner. 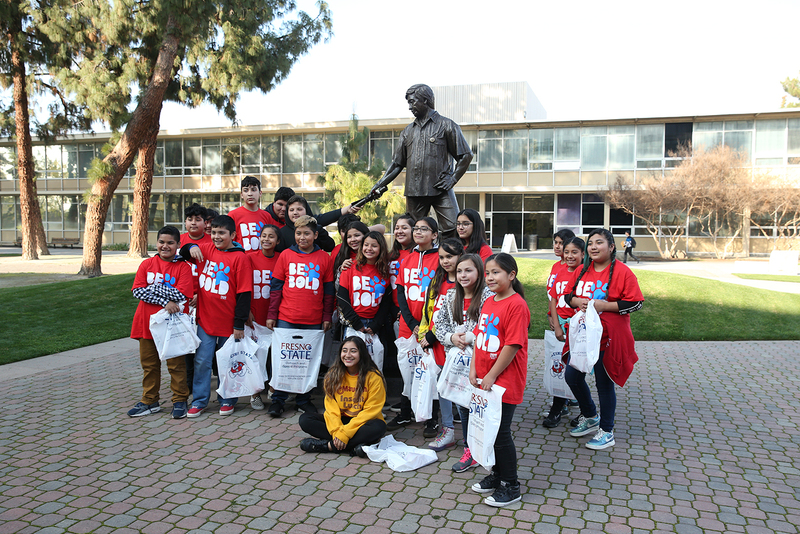 They were later treated to a physics activity with Don Williams, adviser of the Physics Outreach program, and performances by the Fresno State choir and theatre arts students by the College of Arts and Humanities. The President’s Office hosted dinner for the students before a visit with President Joseph I. Castro and First Lady Mary Castro and representatives from United Way and Chevron, who also sponsored the event. 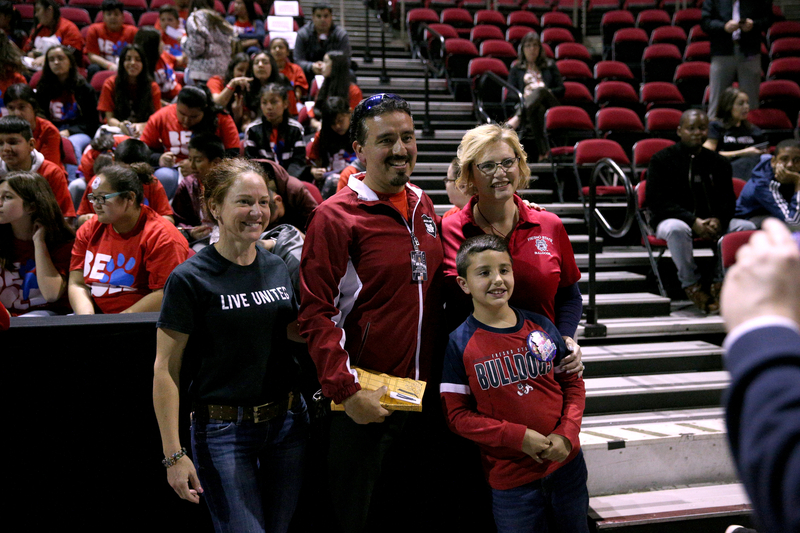 The students ended the night at the wrestling match against Oregon State.